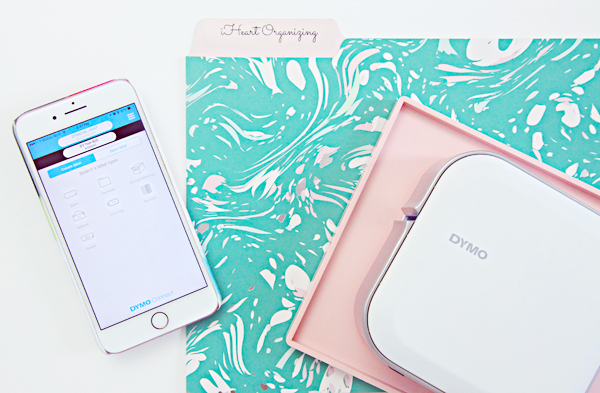 IHeart Organizing: IHeart A Great Giveaway Day: DYMO Label Maker! 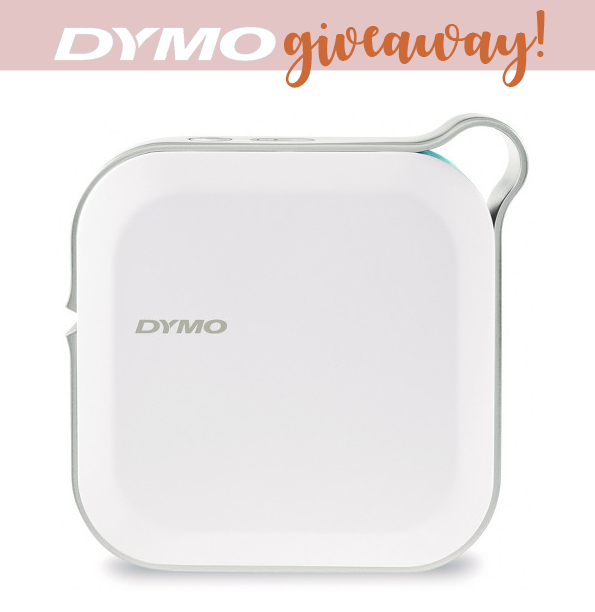 25 IHeart A Great Giveaway Day: DYMO Label Maker! Today is nothing but fun here at IHeart Organizing! 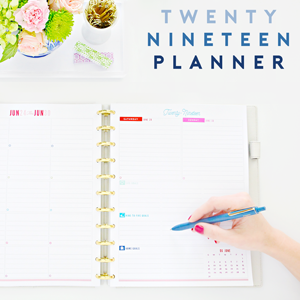 I recently celebrated my eighth year of blogging (!) and I really wanted to do something special to thank you all for sticking around over the years. I know that sometimes things are exciting, sometimes they are not, sometimes we are knee deep in DIY, sometimes we need to breathe, sometimes I am working my way through piles of clutter, and sometimes I am letting it just pile. There are days that I could chat with you all for hours and others that I have an intense bout of writer's block. That said, I love this special place and it wouldn't be what it is without Y O U ! 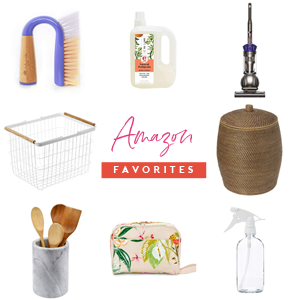 So welcome to round three of a giveaway filled day featuring many of my favorite organizing companies and supplies. This next product is a new love of mine and I think you will see why in a moment. I was very loyal to my previous label maker for many, many years and I was beginning to think we were lifelong companions. But then I was introduced to something a little newer, fancier, smarter, sleeker, and much more versatile. 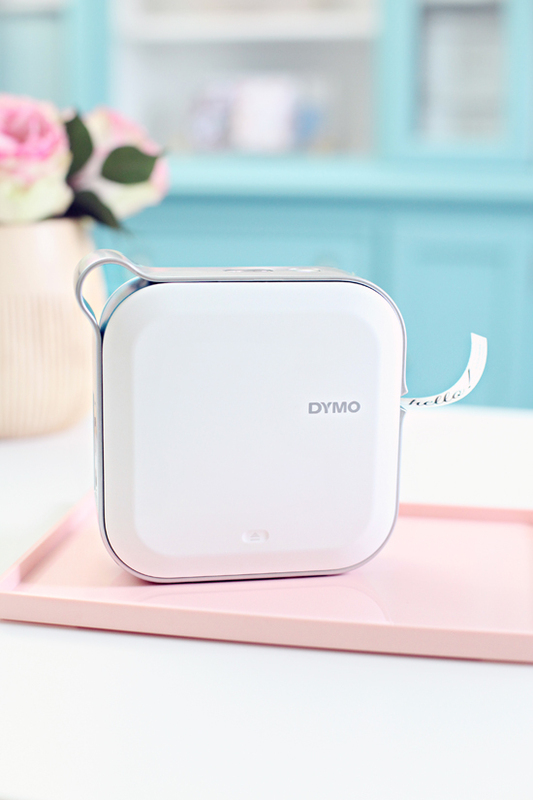 Say hello to the DYMO Mobile Labeler! So why did I switch? Well, first, it can print on clear label tape. You better believe that was the first thing I checked. But what's really great is that it can print on tape that comes in a variety of widths and colors. White print on black tape, black print on clear tape, red print on clear tape... so many options. I will say, there isn't much that can't be labeled with the black print on clear though, it is what labeling dreams are made of. I know that there are about 101 tricks that this label maker can do that I haven't learned yet, but it has been super easy for basic labeling tasks so far. In fact, my first real trial run was on my gal pal's kitchen shown here, and labeling was the quickest part of the entire project! There is a rechargeable battery that charges by plugging into the unit. The label maker can be used plugged in, or once charged, can be taken on the go. And all of the customization takes place right on your mobile device! Just download the app, connect, and label, label, label! With the app open, you pick your tape size and label type. There are presets available for File Folders, Storage Boxes/Shelving, Address Labels, Price Tags, Barcoding, and Basic. You can also select to just customize your own if you wish! Aside from the fact that I can still use clear label tape, my favorite feature is that there are endless fonts that load in, which means that labels just got so. much. cooler! Pick the font, the size, the formatting, and alignment. There is so much creative control with the app! Oh! And you can also add images and shapes and symbols. Giving in to change can be good. So very good! Once it is designed, you just send to the label maker to print and cut. Playing with this new toy brings back memories of me opening my first Nintendo for Christmas. I could spend hours just exploring the different features and options and labeling everything in my world, including the dogs. 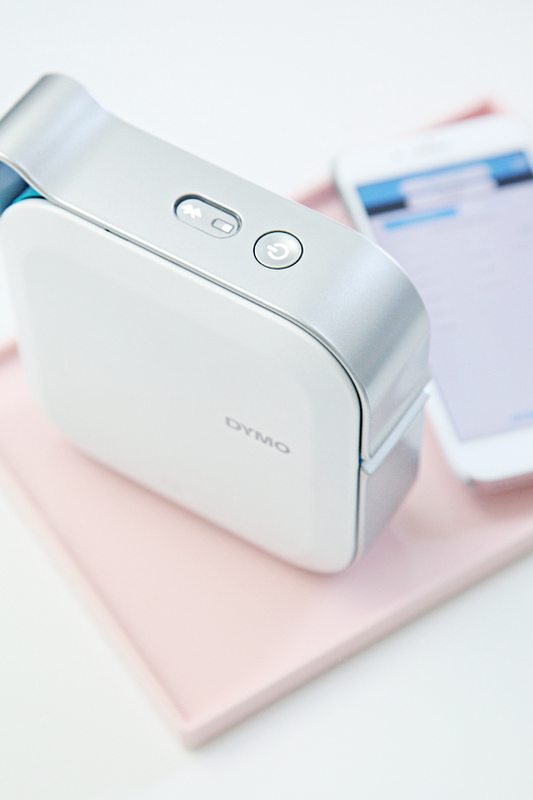 Ready to win your very own Dymo Mobile Labeler?! Remember to check back a bit later today, I have one more giveaway and it is the biggest one yet! Must be 18 years old or older. Open to anyone! No purchase necessary to win. All rules and entries must be followed to be eligible to win. Winner will be selected at random using rafflecopter.com and will be announced on original blog post upon drawing. Additional shipping charges may apply if shipped outside of the Continental U.S. IHeart Organizing official giveaway entry rules can always be found here. That is so cute!! My current label maker is huge and chunky. Would love to try this one out. This is so exciting. 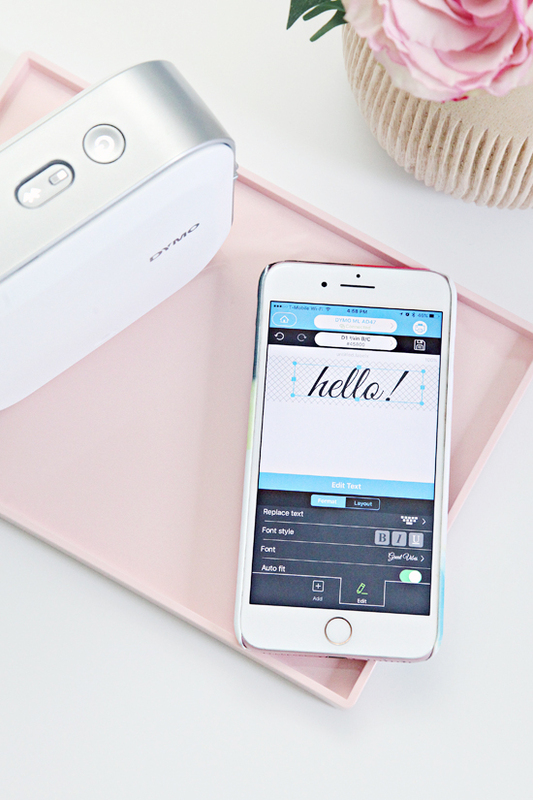 I was just drooling over this label maker last week! WANTTTTT ittttt. What a sweet label maker! 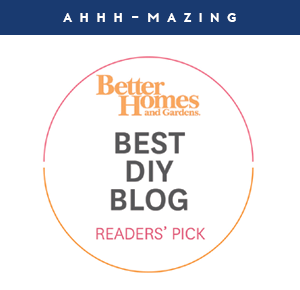 Congrats on your blogging accomplishment and thanks for the giveaway opportunity to win! Bummer, saw this too late to enter! 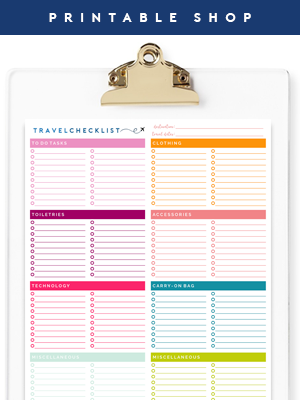 What a great idea for getting organized! 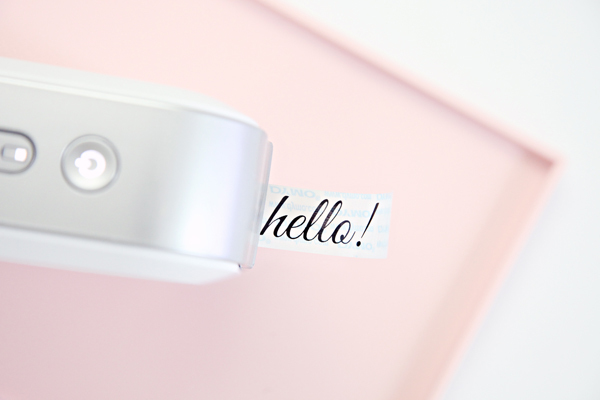 Thanks for the chance to win this awesome label maker! OMG, looks like you have read my mind! Also wanted to compliment you, although I havent left any comment before but it doesnt mean that I´m your biggest fan. Your blog is absolutely inspiring, thanks to you I have found so many great ideas and just last weekend organized also my pantry. 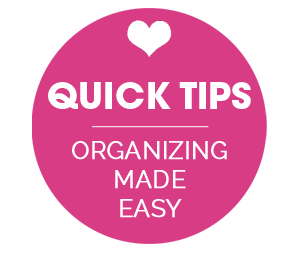 Even my boyfriend laughs and thinks I´m nt normal because love to spend my frr time searching how to organize and clean things in a better way. Thank you! I just labeled my paper sorter at work and my handwriting is terrible! It would be great to win! Thanks! I've considered buying one of these for awhile but haven't pulled the trigger yet. I've read through several of your giveaways but I don't see the instructions on how to enter? HI Lisa! You will have to enter through the Rafflecopter tool located near the bottom of the post. It will require you to either enter your email address or Login with Facebook (so I have a way to contact you if you win), and then there will be a button for an Easy Entry within the tool. You can enter once per day through Friday. Good luck! I absolutely LOVE the font you show on the "hello" label! Must have! Thanks again! I so entered for this one!! Thank you so much for the chance to win one of these! I LOVE your blog, it's so... well.. ORGANIZED!! :) and it definitely inspires me to do a bit of organizing and to try your tips and tricks. Thank you so much for sharing your ideas with us. Does it have clear tape with gold print like your Epson did?! I loved that. Trying to research around now for a new label maker! This one can use any font on your computer right?! Thanks so much for all you do! It does not, which was a boo for me. But I did let the contacts at Dymo know they should add it to their list. :) They have pretty much any other color combo you could imagine though (many on clear tape), and with the unlimited fonts it was a trade and + for me. This is so cute and I love that font -- would love a label maker like this! HI, just wondering what iPhone do you have? Trying to decide between the plus or not... not sure if it would be too bulky, but I hear the camera is better. And for projects like this, it may work better?